“Doc McStuffins” Franchise Comes to Life in Communities Across the U.S.
Dottie “Doc” McStuffins first opened the doors to her backyard playhouse clinic, where the six-year-old girl communicates with and heals stuffed animals and broken toys, in 2012. Four years later, Disney Junior’s Doc McStuffins — which debuted its newest season on July 29 — is the winner of the prestigious Peabody Award, recognizing outstanding storytelling in electronic media, and two NAACP Image Awards (in 2015 and 2016) for Outstanding Children’s program. The show has consistently been a Top 10 preschool cable TV series in key demographics, reaching 70 percent of Disney Channel’s and Disney Junior’s available Kids 2–5, while also averaging 16 million views each quarter on the Disney Junior app, VOD and HULU. Doc McStuffins has been ordered more than 20 million times via set-top-box in just the past year alone. 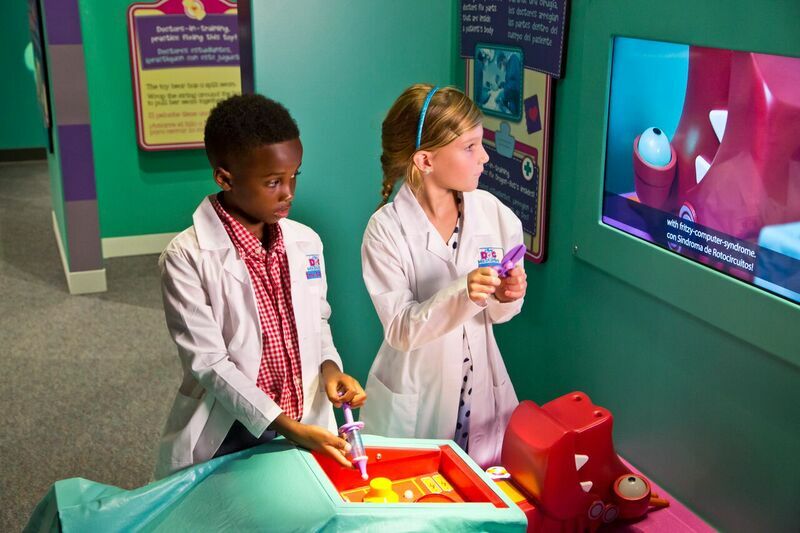 Disney Junior is bringing Doc McStuffins directly to fans in a brand-new way, through a touring museum exhibit that opened earlier this month, at The Children’s Museum of Indianapolis — the largest children’s museum in the world. “Right away, they demonstrated the passion, the vision and the expertise to make this happen,” Jennifer Rogers-Doyle, vice president, Franchise Management, Disney Channels Worldwide, said about the Indianapolis museum. The exhibit is designed to model “care and compassion” for kids ages 2–7 in immersive activities that reinforce the importance of health and well-being. “Doc McStuffins: The Exhibit” will travel to other museums around the country beginning in 2017. The exhibit is scheduled through 2019, with stops currently planned for the Discovery Cube OC in Santa Ana, California; Liberty Science Center in Jersey City, New Jersey, and Children’s Museum of Atlanta in Georgia, to name just a few.